You’re a people person. Nothing makes you happier than helping someone in need. Therefore, healthcare is an obvious career choice for you. That being said, there are so many options when it comes to healthcare jobs, so how are you supposed to know which one is right for you? If you are considering a career in healthcare, here is why becoming a Certified Nursing Assistant (CNA) may be the perfect option to pursue. 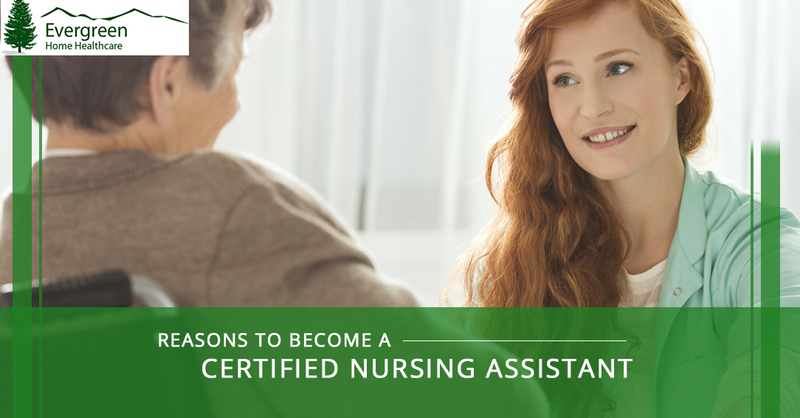 First things first, you want to understand what exactly is the job description of a CNA. A CNA is a very important part of any care team. CNAs provide direct care to patients, helping them with their daily needs such as bathing, dressing, and eating. They would to keep patients healthy, safe, and comfortable. A CNA also works with the rest of the care team to ensure that the patient is receiving all of the aid they need, whether that’s RNs, physical therapists, or other healthcare professionals. At Evergreen, we provide in-home healthcare, which means that the CNAs who work for our healthcare agency go to patients’ residences to provide care in their homes. This offers a more intimate caregiving experience and lets you truly connect with patients in a different way than in a hospital setting. The average length of a CNA program is three months. If you want to go into healthcare but don’t want to spend years in school, a CNA program is a great way to go. With a minimum of 75 hours of classroom training and instruction on all the clinical skills necessary to do the job, you can get all the education you need in just a few short weeks. Do you want to be in the healthcare field but are worried that your lack of college degree will hold you back? 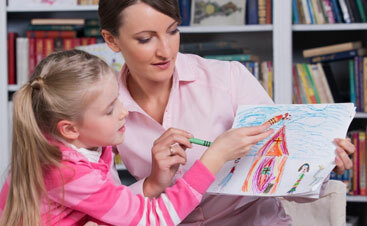 To become a CNA, all you need is either a high school degree or GED. In Colorado, you can be a CNA as long as you are over 16 years old. When you consider that some healthcare training costs tens of thousands of dollars, a CNA program is a very affordable alternative. The average cost of CNA training is around $1,200. Certification costs about $125, while registration is about $50. There is a high demand for CNAs. When you become a CNA, you don’t have to worry about a dearth of job options; in fact, the demand for CNAs is growing at an incredible rate that outpaces most U.S. jobs. There’s a reason why we are nearly always hiring CNAs for our home healthcare agency; just take a look at our Employment page to see for yourself! You get a lot of variety. Does the idea of doing the same thing day in and day out bore you? Then working as a CNA may be right for you. Even when you’re working with one patient in their home, no two days are exactly the same for a CNA. CNA jobs are a great way to start your healthcare career. If you are interested in going into healthcare in general but aren’t sure where you fit yet, starting with a CNA position can be the ideal stepping stone. Many people who are registered CNAs go on to become licensed practical or vocational nurses (LPN/LVN) or registered nurses (RN). Some choose to pivot from nursing into other medical specialties based on the different professionals they work with, such as physical therapists. Starting as a CNA can be a great first step down your career path. Working as a CNA is fulfilling. Because you are working directly with patients, CNAs get to see for themselves how their work leaves an impact. 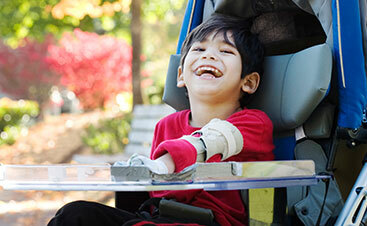 While healthcare can be demanding, every day, you are able to make a difference. The job satisfaction rate for CNAs is very high as a result. 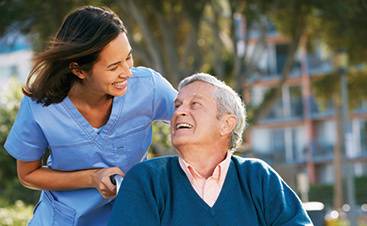 At Evergreen Home Healthcare, we are always looking for qualified CNAs to join our care team. If you are a compassionate hard worker with a desire to help families, check out our Employment page for CNA jobs in Denver and Northern Colorado.